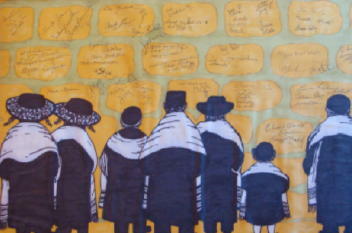 First here is a picture of the wailing wall sign-in board. Next I have to make some corrections. 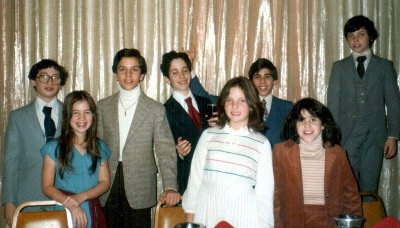 The rabbi wanted your bar mitzvah to happen in 1980 when you would have been 14 years old. I pleaded with him to allow you to have it in 1979 when you would still be 13 and not be embarrassed in front of your friends. He finally agreed providing you make a commitment to continue your religious training for one whole year after your bar mitzvah. You made that promise and kept it! You studied the Torah and were confirmed one year after your bar mitzvah. Mommy and I were very proud of you. You were so into it that we dubbed you “Captain Rabbi” and gave you a tee shirt with that name on the front! The name of the musician that came to the house to show us some demo tapes was Lloyd. He was a drummer and was representing Lee Myles. When he showed us the tape of The Lee Myles Trio I was amazed to see that Lee Myles, who sang and played guitar was my cousin Marty Hirsch! I had not seen Marty for over twenty years. In 1957 I was playing conga with his band. We played a couple of weddings but did not get a gig in The Catskills that we had auditioned for. I did in fact hire The Lee Myles Trio for your bar mitzvah, instructing Lloyd not to tell Marty (Lee) who the job was for. When Marty showed up for the gig he was floored when he saw me! I sat in with my conga drum and had a ball playing with my cousin Marty at my son’s bar mitzvah! Next PostNext Who comes around on a special night?